Over the weekend, the Cleveland Fed released its media Consumer Price Index (CPI) data for December 2017. The result? The Median CPI rose 0.3% in December, an annualized rate of 3.5%. 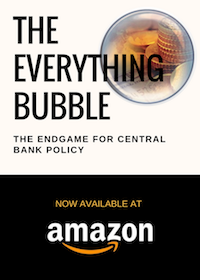 Put simply, core inflation is rising rapidly… and the Fed is WAY behind the curve. 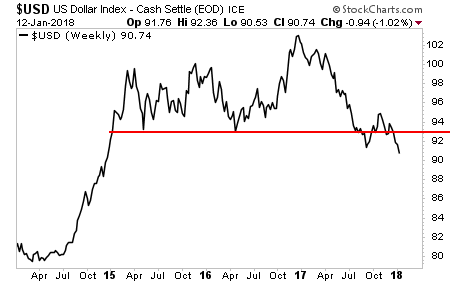 Small wonder the US Dollar is collapsing, breaking through critical resistance. The BIG PICTURE chart is even uglier, suggesting the $USD is going to crash to the mid-80s soon. 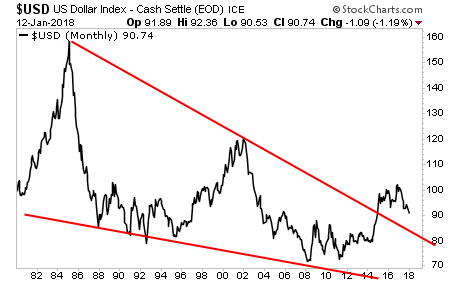 Put simply, the $USD is forecasting a SEVERE inflationary shock is coming shortly. 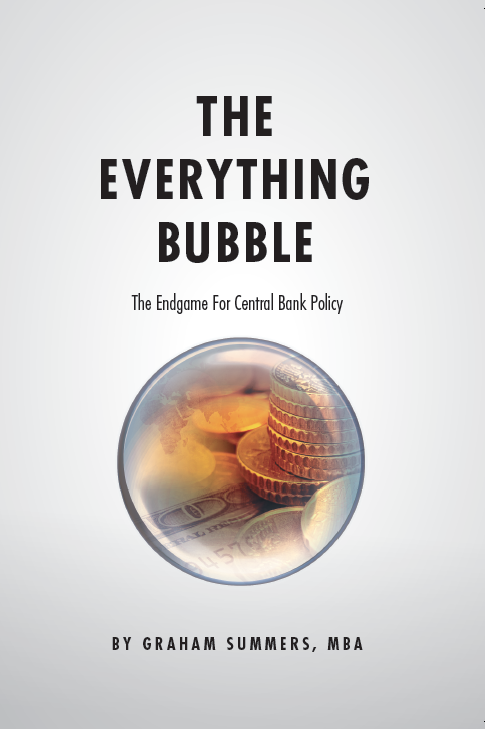 And it’s going to blow up the Everything Bubble. 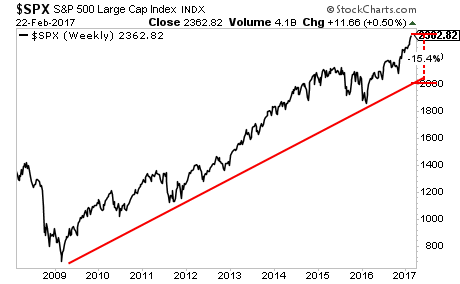 Will the Fed Sacrifice Stocks to Save Bonds?